At the end of the road down the Yucatan peninsula to the Belize and Mexico border is where you’ll find Costa de Cocos. This undiscovered gem is a great place for both anglers and non-anglers. This laid back authentic Mexican lodge offers great values and is just outside the sleepy town of Xcalak. The lodge has 16 comfortable cabanas nestled amongst the coconut trees that can accommodate up to 32 guests. Each private cabana has its own bathroom with hot shower and daily maid service. The lodge owners, David and Ilana Randall, are committed to preserving the natural environment and are leaders in the Costa Maya region for eco friendly operation. There is an on site desalinization plant and wind generator that provides 24 hour power. Add to this the availability of the internet and you have all the comforts of home! The lodge boasts the area’s best restaurant and bar with a menu of local and American dishes. A full continental breakfast is served each morning and full menus are offered for both lunch and dinner. Cold cervezas and cocktails are available at anytime! There is also an on site dive shop complete with dive instructors and rental gear. Dive sited that rarely get seen, including the Chinchorro Banks just offshore. Snorkeling access is as simple as swimming out from the lodge’s beach. Kayaks are available to guests for a small fee. Trips to nearby Mayan ruins, cenote tours, and birding tours are all at your fingertips. Chetumal Bay is a relatively undiscovered fishing gem in this part of the world. All of the Grand Slam species are available just minutes from your doorstep. 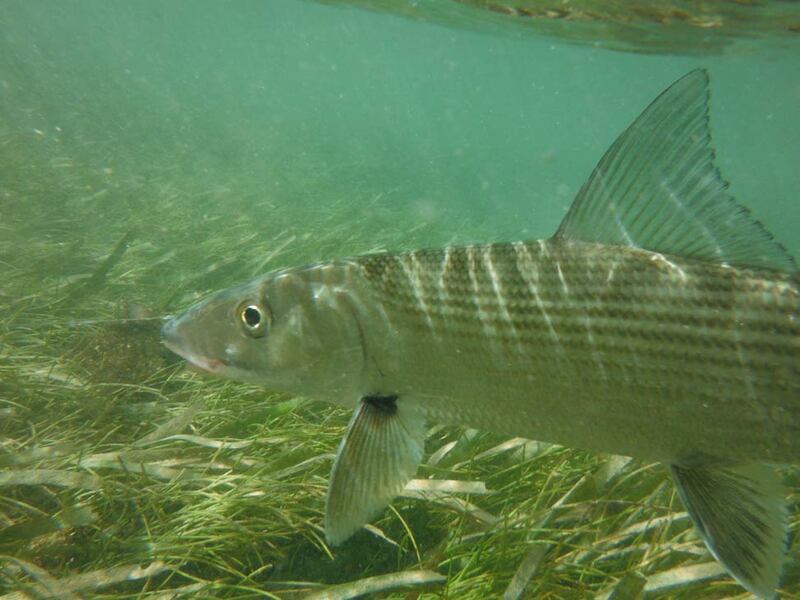 Bonefish are the backbone of the fishery and are larger on average than their cousins to the north. Shots at 5-7 lb fish are common and are changing the perception that larger bones can’t be found in the Yucatan. The lodge is gaining a reputation as a solid permit destination during the months of February & July. Baby tarpon are found in the bay and adjoining lagoons year round with a run of larger fish in May and June. Snook are found year round as well and can provide sight fishing opportunities on the flats during the fall for fish in the 10-20 lb range. If this isn’t enough, the lodge does troll the nearby Palancar reef for dorado, wahoo, jacks and a host of other species. Each rate is based on double occupancy and includes all meals, open bar, roundtrip transfers from Cancun, and equipment if needed. Not included are eco tours, guide and staff gratuities.